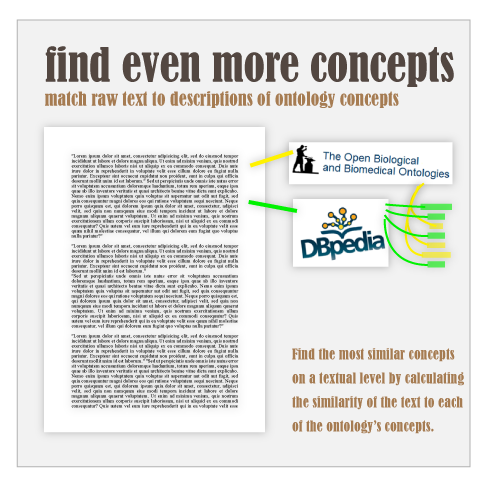 – Step 3: measure the similarity of a cyttron-db entry to a concept-description from an ontology. 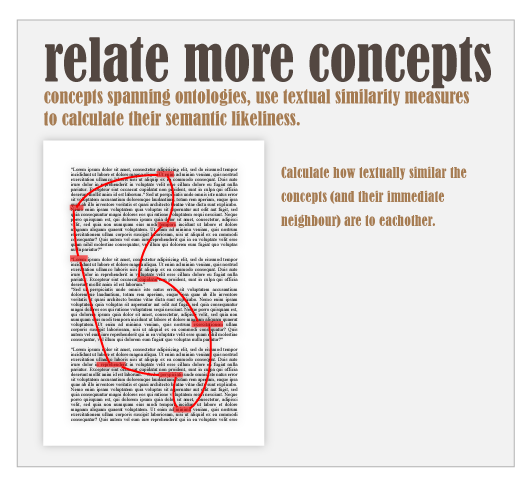 This will allow me to find concepts in the text that do not appear literally. 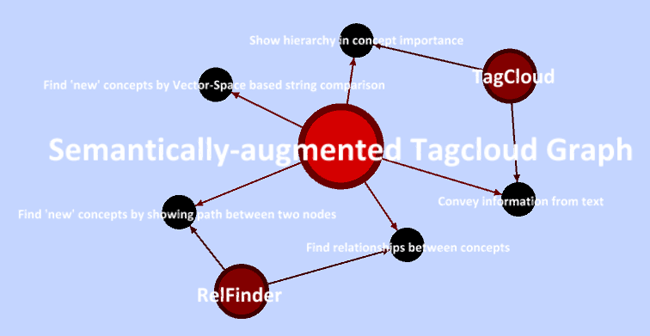 – Step 5: to be able to relate concepts which come from different ontologies. By measuring how similar the text surrounding a concept found in the text is compared to another found concept. As mentioned before, I am using the excellent Gensim “vector space modelling for humans” package, which takes all the complicated mathematics off my hands (like the scary and intimidating formula up top!). Perfect for me, as I’m not mathematician, nor a computational linguist, nor a statistician, but I AM a human, who wants to work with a solid and proven method of similarity measures and feature extraction for texts. Since I am what I am, I won’t attempt to explain any of the inner workings of Bag-of-word models, vector space, and TF-IDF measures, sorry, there are much better places for that. I’ll simply show how I made Gensim work for me (assuming it does). The first step is to create a training corpus. The training corpus defines the features of the text – the words that will be considered ‘important’ when looking at a text. The training corpus needs to be from the same domain as the target application: in my case the biomedical domain. 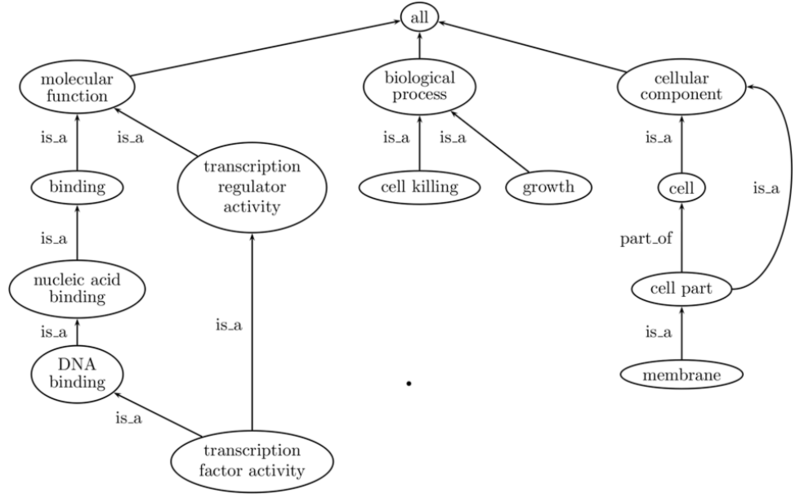 At first I was looking at extracting a bunch of relevant Wikipedia articles (all articles from Wikipedia’s Biology category) to use as a training corpus. 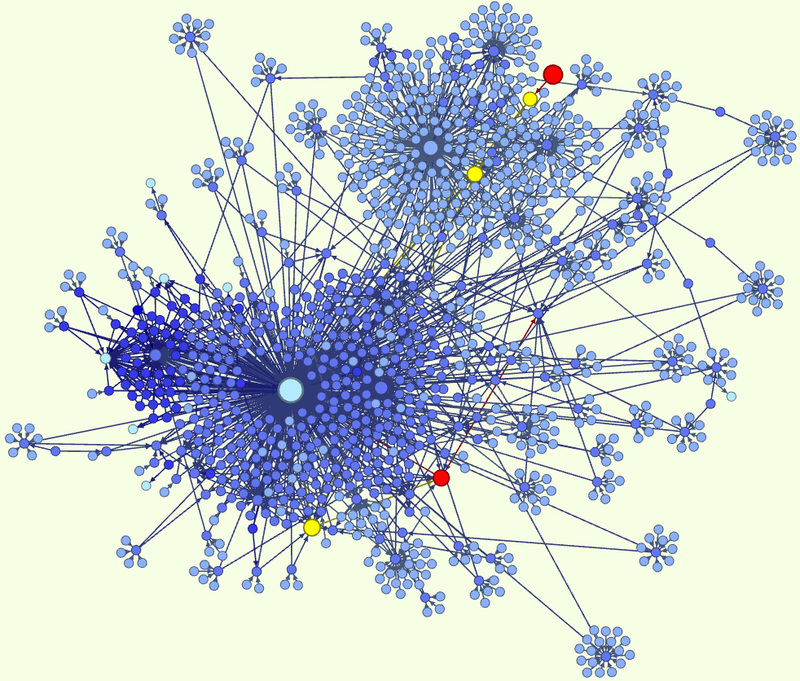 But then I came across something better: the Open Access BioMed Central full-text corpus. The corpus consists of over 100.000 articles, weighing in at 8GB of XML-documents. I wrote a simple script using lxml2 to parse the individual files: extracting all plaintext from the article body, cleaning them and storing them in a new text-file (1 article per line) for later processing. The cleaning process consists out of 3 steps: tokenizing articles (aka breaking an article up in words), filtering for common stopwords, and finally stemming the remaining words. I chose to include stemming, in order to unify such words as ‘hippocampal’ and ‘hippocampus’ (stemming returns the ‘root’ of a word). As I stem both the training corpus and the strings that need to be compared, it is not a disaster if words get stemmed incorrectly: in the end I don’t need to make sense out of the stemmed words, I only need them for counting. The plaintext file my script created is 650MB (vs 8,8GB for the uncompressed XML-files)! Thankfully it’s possible to store the generated corpus, dictionary and tfidf to disk: parsing all these documents takes quite a while on my computer. That’s it for the preparation of the training corpus! When both strings are prepared, all is left to compare them, by creating an ‘index’ (the reference string) and a ‘query’ (the other string). Order doesn’t matter. Now the second task (of matching a string to all the descriptions from my ontologies is much the same process, with the only difference that I need to use the similarities.Similarity object when creating the index (of the descriptions): the MatrixSimilarity object resides fully in RAM, the Similarity object on disk. I am pretty confident about these preliminary results. 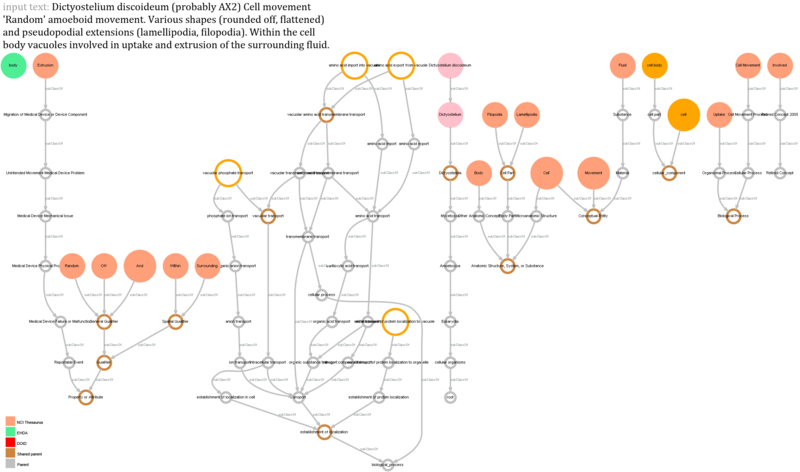 It all seems to work as it should, and should be much more robust than my earlier attempts at similarity measurement using difflib and some crummy homegrown keyword-extraction and comparison (which I will still use for generating synonyms, crumminess works for that).